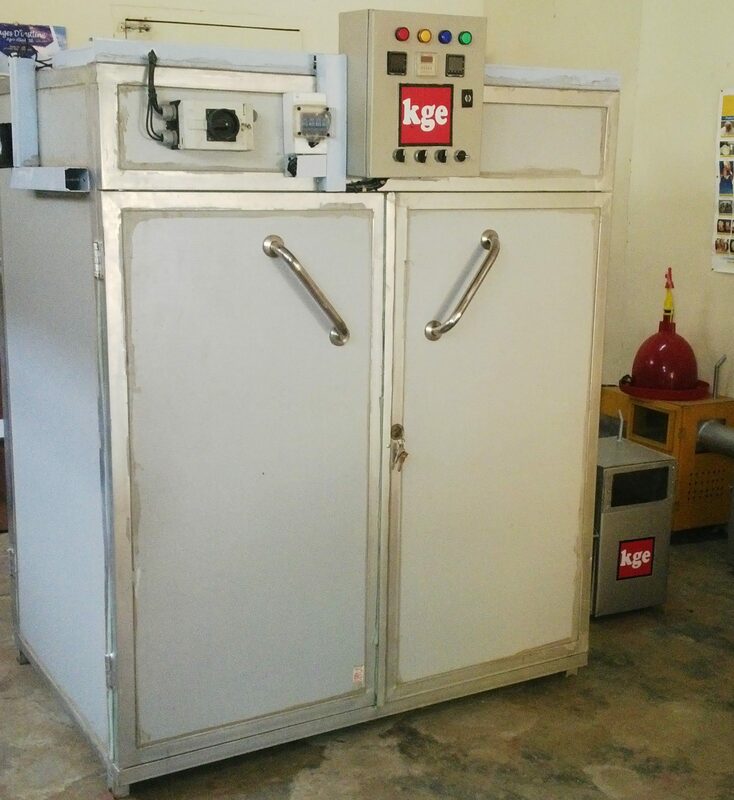 KGE Electro Kero/Gas Incubator is designed for success in areas with epileptic power supply. It is built to accommodate hatching for various species of birds. You can request for the specification for incubating eggs of chickens, turkeys, quails, ducks or geese. The 165M series egg incubator comes with our unique and simple design. 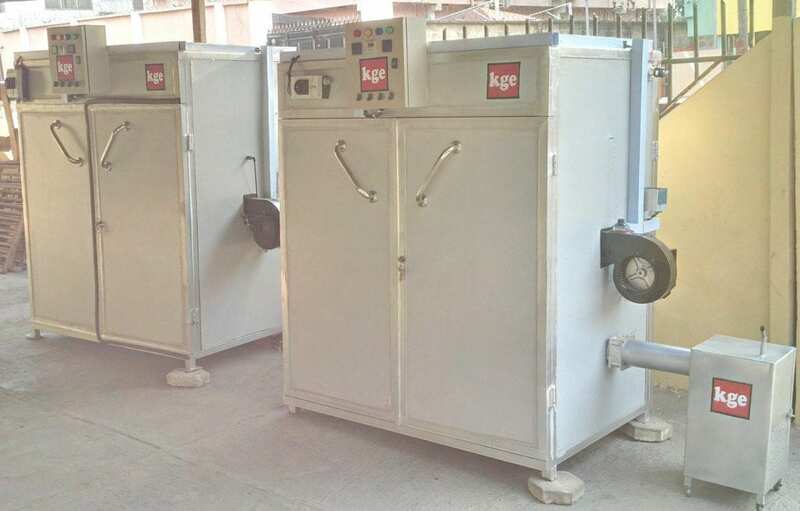 It is well built for farmers or hatcheries who hatch less than 1500 chicken eggs every 21 days. With simple and adequate hatchery management, you can expect good hatchability and ultimately, quality chicks. Our customers use the 165M series chicken egg incubator in both rural and urban cities. The 165M series chicken egg incubator comes with a kerosene/gas powered channel for supply of heat in case of power failure. The buyer will choose either of kerosene or gas part to be supplied. The 165M8 incubator also comes with rechargeable batteries (fully charged within 10 hours) that can last two to three days when there is a power outage. The power supplied by the rechargeable batteries maintains the system automation when there is a power outage and heat is being supplied with the gas or kerosine channel that comes with the incubator. The 165M8 chicken egg incubator can be powered with a 2.5KVA generator as a backup in case of prolonged power outage. Some customers like to have our customized solar panel to recharge the batteries in case of generator breakdown. This is also available upon request. We recommend the 165M8 KGE electro-kero egg incubator for use in both rural and urban areas. To ensure proper turning, the handler of the machine will have to turn the eggs three times (morning, afternoon and evening) to ensure proper turning of eggs during incubation. 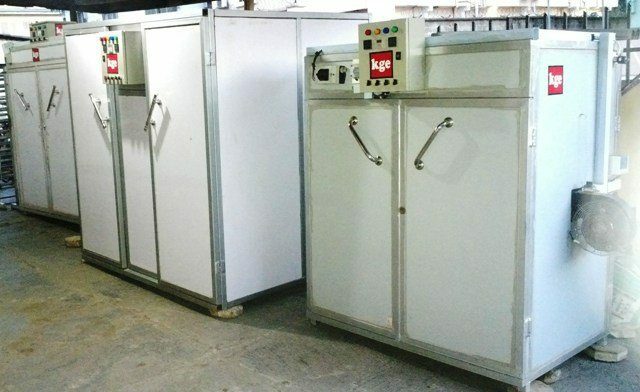 If you want automatic turning of your eggs, consider getting a bigger machine like our 120M Series Electro-gas/kero egg incubator which comes in capacities from 2880 chicken eggs to 14,400 chicken eggs. You don’t need to worry if the technical information of the 165M-Series KGE Electro-Kero Egg Incubator if it is confusing to you. When you make your order or inquiry, we would provide all the information you need to make a good decision.